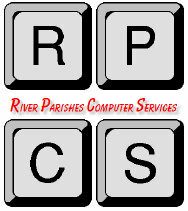 River Parishes Computer Services strives to deliver the best in high-value, low-priced services. RPCS was formed in January of 2003 when Ron Gervais decided to provide computer/technology services of high quality at a fair price. He strives to listen to client needs and problems, understand the overall situation and work towards a reasonable solution. His main focus has always been and always will be giving the best value at a fair price.